To mount an i4xx Card Cage onto a 35mm DIN rail, pictured below, one must order 1 package of i4xx DIN Rail Mounting Brackets, Part #iNet-530. 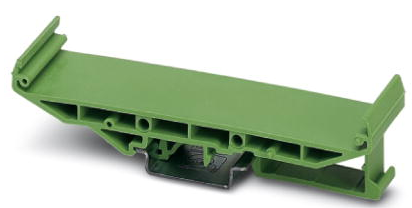 This package includes 2 brackets; and the hardware required to connect a 4, 8, 12, or 16 slot i4xx card cage to a Standard DIN rail or flat wall. For details on the i530 package, click here. 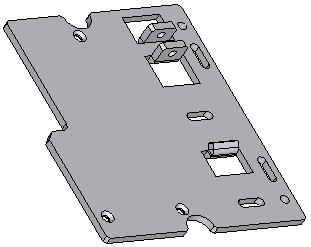 To mount an iNet-100xx to a 32C, 35x15D, or 35x7D DIN rail; one must order one i100 DIN Rail Mounting Bracket, Part #iNet-340. The i100 has two grooves in the base that clip to plastic brackets that affix to din rails.